The Woolly Brew: Amitola has arrived! Amitola by Louisa Harding is a light DK yarn, 80% wool and 20% silk. It has a suggested tension of 24-22 stitches x 30-32 rows on 4mm - 3.75 needles. It has a HUGE 250m per 50g ball and costs £6.95 per ball. 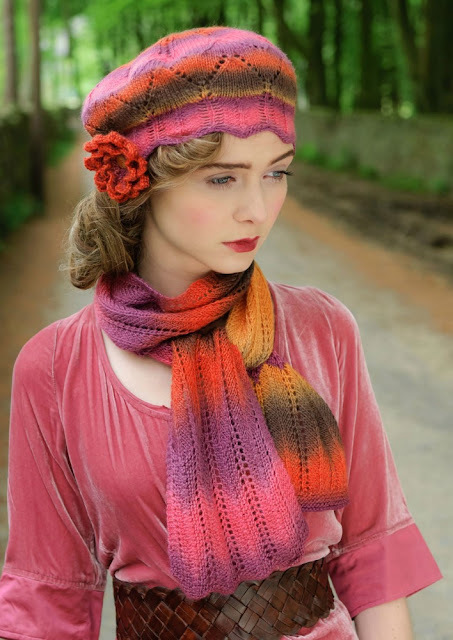 As you would expect from Louisa Harding there is a stunning pattern book with ladies garment and accessories. Now in the shop in 7 colours!